Thank you for visiting our website, we would like to let you know how much we appreciate our customers and if there is anything we can do for you, please do not hesitate to contact us. Joe was one of the original founders of Draeger Propane back in August of 1995 and is the current owner/president of the company. Joe plays a key role in the financials within the company. Joe is involved in bidding our commercial contracts, and is also involved in our wholesale business including wholesale brokerage and wholesale contracts. Joe graduated from the University of Wisconsin Stevens Point in 1985 with a Bachelors degree in Business Administration. Joe has lived and worked in the Antigo area for the majority of his life and has businesses stretching from Antigo WI, into Upper Michigan. Larry is the General Manager and one of the original founders of Draeger Propane back in August of 1995. He is a working manager and plays an instrumental role in the successful operation of this company. His roles include bulk propane delivery, tank installation, office responsibilities, wholesale negotiation and brokerage, and connecting with customers on a regular basis. Larry has been in the propane gas industry for 35 years and has worked for several gas companies including Antigo Electric and Gas, Great Plains Gas, and National Propane – (all Amerigas now). Larry has both lived and worked in the Antigo and Rhinelander area throughout his career. His two main focuses are serving the customer and keeping propane price low for our customers. 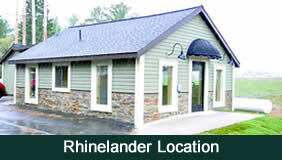 Josh is the Location manager of the Rhinelander office. He is a working manager and his role includes bulk propane delivery, propane service work, tank installation, and office responsibilities. Josh is also involved in sales, advertising and marketing and wants to reach out to attain new customers. Josh has been working for Draeger Propane part time since 1997 and is now starting full time as of July of 2011. Josh graduated from the University of Wisconsin Green Bay with a Bachelors degree in Business Administration in May of 2009. Josh has lived in both Antigo and Rhinelander and spent a year working Retail management for a major retailer. Bryan started with Draeger Propane in August of 2010. Bryan is involved in many different aspects of our business, including bulk propane delivery, tank installation, propane service work, and wholesale transport delivery. Bryan has lived in the Antigo area his whole life and has previous experience driving semi trucks. Matt is involved in many different aspects of our business including tank installation, propane service work, and Bulk propane delivery. Matt has been with Draeger Propane since May of 2013. Matt has lived in worked in the Antigo area his whole life. Rich has been with Draeger Propane since 2017. Rich has been in the transportation sector for many years. Rich has lived and worked in the Antigo area his whole life. Allan has been a Wholesale transport Driver for us Since November of 2010. He has extensive knowledge in the propane industry and has worked for a major propane retailer for many years. Jim is involved in both propane bulk delivery and tank installation and service work. During the summer Jim primarily operates a chainsaw safety business doing training throughout the state. Jim started with Draeger Propane in July of 2015. Stephanie handles all of our office duties at our Rhinelander location including accounts receivable, billing and taking calls from our customers. Stephanie has been with Draeger Propane since July of 2014. Paula handles all of our office duties including accounts receivable, billing and taking calls from our customers. 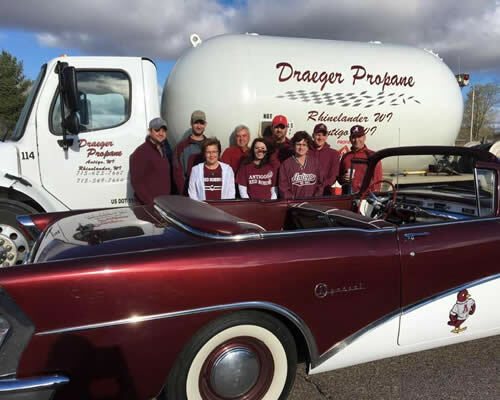 Paula has been with Draeger Propane since November of 2015. She has lived and worked in the Antigo area for 30 years. Jason is our primary mechanic for our entire vehicle fleet. He not only services our bobtails, pickups and service trucks but also our semi tractors and propane transport trailers. In addition to those duties Jason also builds bobtails to add to our fleet as well as building bobtails for resale. Jason is also our main service technician for all of our propane auto gas vehicle conversions. Jason has been with Draeger Propane since 2012.